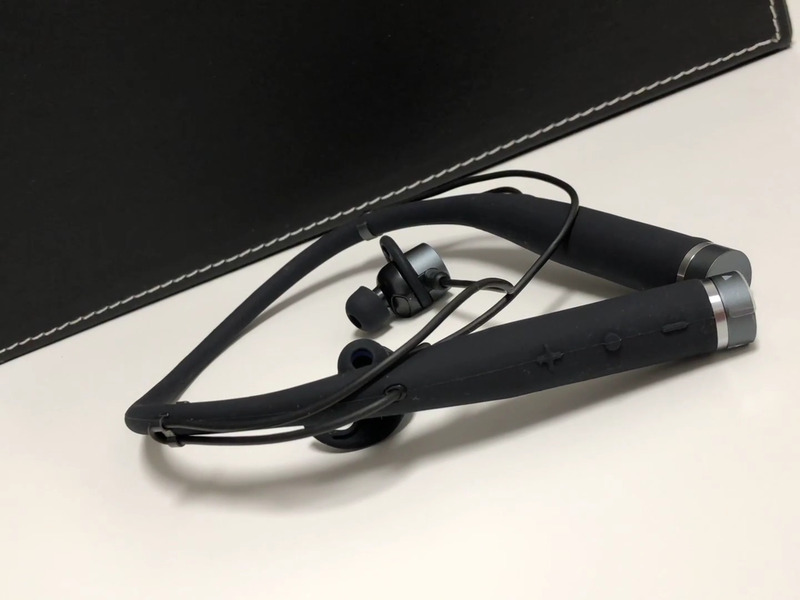 We have already seen headphones that can track the number of steps you take or your heart rate, but a new company is aiming to take this concept to a new level with artificial intelligence (AI). 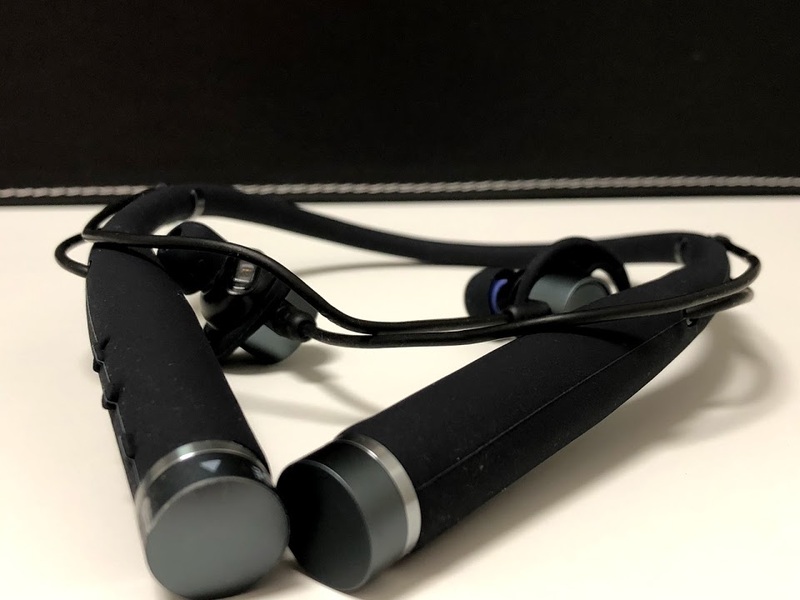 Created by New York-based LifeBeam Labs, Vi headphones use AI to provide you with a custom workout and real-time coaching advise and motivation. I’ve been testing these headphones out over the past few weeks to see if the company’s headphones live up to their hype. 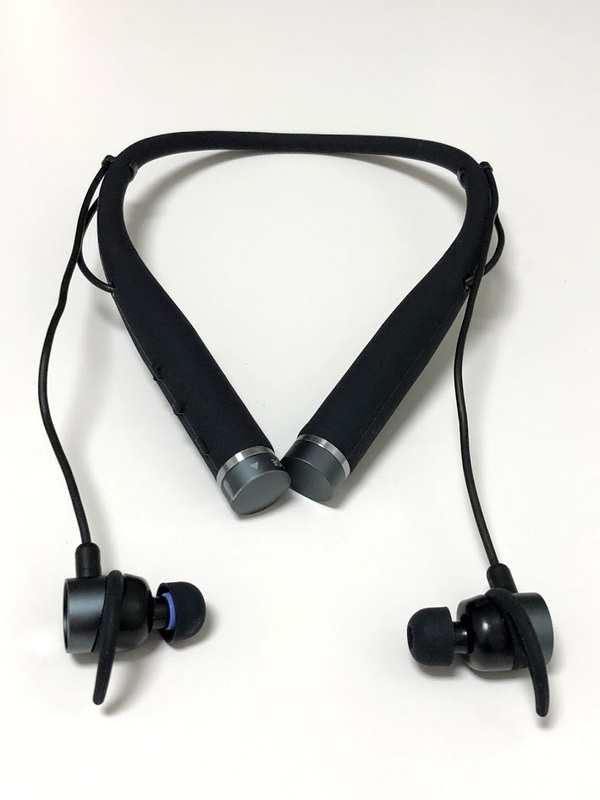 The Vi earbuds connect to a U-shaped piece that wraps around your neck and feels quite comfortable due to their lightweight. The neck piece is also wrapped in a soft-touch finish that is comfortable and easy to grip, especially after a workout when your hands are sweaty. The neck piece contains volume controls and a multi-function button that are tactile and easy to press. The cap on the right side of the neck piece pops off to reveal a micro-USB charging port. The caps at either end of the neck piece also double as magnetic holders for the earbuds so they don’t dangle all over the place when they aren’t in use. The earbuds ship with a very compact carrying case and a small box that contains four sizes of ear tips and two sets of wings, which really do a good job of keeping the buds in your ears when you are running. Usually, I’m not a big fan of in-ear headphones, but these ones were very light and comfortable to wear once I found the right size of ear tips. Even though the headphones are not noise canceling, they did a pretty good job of blocking ambient noise. Getting set up with the virtual assistant was quite simple. I’ve tried a few AI-based personal trainers and Vi was by far the most encouraging, however, if you use it on a regular basis you will notice that it starts getting repetitive. Some of the compliments were quite corny, but it successfully delivered commentary with a positive attitude. 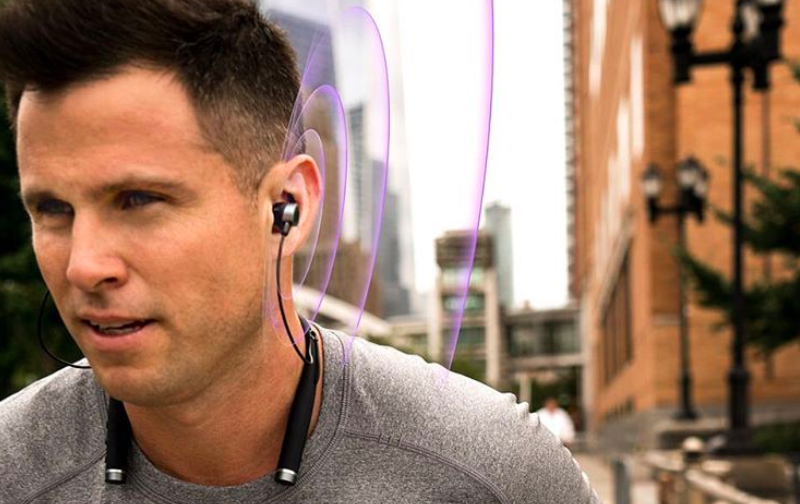 Once you pair your headphones with the app on your phone, you are ready to start running. A nice little touch is that even after you start a workout, it won’t actually start until you begin running. The app would recognize that a workout was started after a few strides. In addition, Vi will also notice when you stop running and automatically pause your workout. In order to get a tailored plan, just for you, the company requires you to use the app for about 120 minutes. This is so that they can gather enough information about you. Before you decide to buy the Vi headphones, make sure you like running. The Vi training app is very limited in terms of functionality, giving you four choices: free run, distance run, time run, and cycling. The app also allows you to set your goal as lose weight, improve fitness, go farther, go faster, reduce stress, or maintain fitness. Although a lot of people will appreciate the running features, Vi will not coach you through strength training or yoga. Vi will actively monitor your runs and suggest various adjustments you can make to improve your workout. For instance, if you are running for a long period of time, Vi will figure out the optimal number of steps per minute that is perfect for you. If you don’t hit the beat, it will encourage you to try again. On my initial runs, Vi also recommended breathing patterns and suggested to swing my arms a bit. However, as time went on, Vi didn’t give me as much voice guidance which was quite disappointing. The voice command feature was very finicky and didn’t work most of the time. Not to mention, tapping on the right earbud hard enough to get it to activate the voice prompt hurts your ear and can be a pain while running. You’re also fairly limited in what you can ask the coach. You can ask it to tell you your heart rate, get a summary of your progress, start a beat for you to increase your steps per minute and stop in-run coaching. The most interesting command you can ask Vi is to create a Spotify playlist of the song you are listening to. You can’t tell Vi to start or stop a workout or use Siri or Google Assistant. 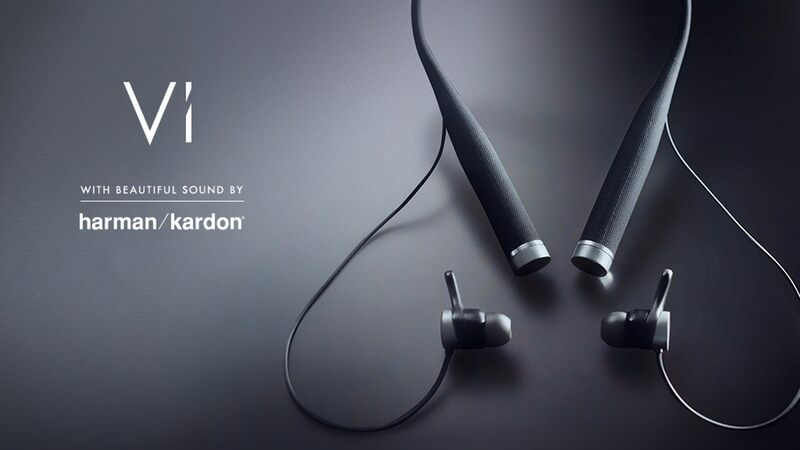 Music sounded pretty good coming through the Harman Kardon earbuds, however, they lack the bass. I would not recommend using this as your day-to-day headphones, but they definitely are good enough to workout with. LifeBeam says that the battery on the Vi headphones should last about 7 to 8 hours. I found that the estimate was accurate. I used the headphones for three different length runs and listening to music for the rest of my commute and at the end of the day, I still had a bit of battery left. Of all the virtual coaches that I’ve tried, the Vi headphones definitely have the most promise. 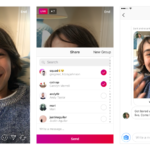 However, they still have a long way to go, which is alright because a lot of improvements can be made via software updates. Personally, I believe that the company nailed the hardware, providing a really comfortable fit in a well-designed package. The software and assistant could use a bit of work, especially on the voice commands. I hope that Vi adds an abundance of workout options in the future and provides us with a wider selection of voice commands. Vi Headphones are available from LifeBeam’s website for a limited-time holiday price of $199 (regular price: $249).